Should An Employer Make Employees Sign or Acknowledge the Employee Handbook? Regardless of size, every Florida employer should consider having an employee handbook. An Employee Handbook is a document outlining the employer’s policies with regard to issues like working hours, rest breaks, vacation time, and expectations for workplace conduct. Keep in mind, an employee handbook is not the same thing as an employment contract, and the mere existence of a handbook does not necessarily modify the “at-will” nature of the employment relationship. So why does an employer need a Handbook? In short, Handbooks help to establish the conduct you expect of your employees as well as provide protections for the employer by establishing, for instance, complaint mechanisms and discipline policies. For these reasons, it is advisable for employers to make sure that all employees read, understand, and accept the terms contained in an employee Handbook. This can help prevent potential misunderstandings–and litigation–in the future as to what was expected of both the employer and the employee. What Should a Handbook Acknowledgment Include? Florida law does not require any employer to create or publish an employee handbook. Nor does the law compel any employee to sign such a document. But where an employer chooses to have a handbook, a written acknowledgment can help establish that the employee was given fair notice of the applicable workplace rules. And in the event the employee–or a former employee–sues the employer or maybe even claims entitlement to unemployment (despite being terminated for violating a known-rule contained in the Handbook), this signed acknowledgment may prove useful to a judge or jury in determining what policies were actually in effect at the relevant times (and whether they were followed). Similarly, the Handbook can provide guidelines for employees to follow for complaints. If an employee has a serious concern about an activity at work, such as a concern of illegal activity, a Handbook may designate a person responsible for fielding complaints. This is important because, in some situations, an employer can be liable for the actions (or inactions) of their management or supervisors. For example, what if an employee had a complaint about illegal activities in the workplace and reported it to their supervisor. If you, as an employer, have not educated the employee (or supervisor) about how to handle (or where to report or escalate that complaint) or if you do not have a policy in place about how the employee is to handle the complaint – and if nothing is done – you as the employer may still be liable for the actions or inactions of the supervisor, especially if the employee is retaliated against by the supervisor for the complaint. Handbooks provide policies which can minimize confusion about expected conduct in the workplace. Under state and federal law, employers may also be responsible for discrimination or harassment by a supervisor or manager towards an employee. A Handbook may provide policies that the employer does not condone harassment or retaliation and may serve as the basis for terminating a supervisor or manager who is found to have engaged in such action. However, a Handbook is only effective if it is disseminated – and received – by the employees, so that they are on notice of your policies. The exact contents of an employee acknowledgment will vary depending on the employer. But at a minimum, the employee should sign a statement indicating that he or she has received the employee handbook and acknowledges it is their responsibility to read and understand its terms. Some employers actually require employees to read and understand the handbook before signing the acknowledgment, but this is not required. Any employee acknowledgment should be dated, signed, and placed in the employee’s personnel file. If an employer chooses to amend or modify its handbook in any way, employees should be given a copy of the new handbook as soon as possible and asked to sign and date a separate acknowledgment. If an employer chooses to adopt a new policy of special interest or importance–such as new sexual harassment guidelines–it may wish to ask the employees to sign a separate acknowledgment, as well. So what happens when an employee simply refuses to sign a handbook acknowledgment form? That is largely up to the employer. In some instances, the employee’s actions could be deemed insubordination, but an employer taking this road needs to tread lightly. 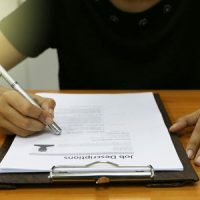 Depending on the reasons for refusal of signing the Handbook, how it is conveyed to the employer, and whether it is a single or group of employees should all be considered. Termination of employees for engaging in concerted, protected activity – like complaining about terms or conditions of the workplace (including new Handbook provisions) – may be considered protected speech under the National Labor Relations Act (NLRA). Terminating an employee (or group of employees) for refusing to sign may result in a violation of the NLRA, so it is best to seek legal counsel from an experienced employment law attorney before taking action on an employee who refuses to sign a Handbook. Still, even if an employee refuses to sign a Handbook does not mean that they are not bound by the policies contained within the document (unless the Handbook contains restrictive covenants, which do require a signature by the party to be bound). If you are an employer or employee who has further questions about the subject of Handbooks and their legal effect, you should contact a qualified Florida employment law attorney right away.